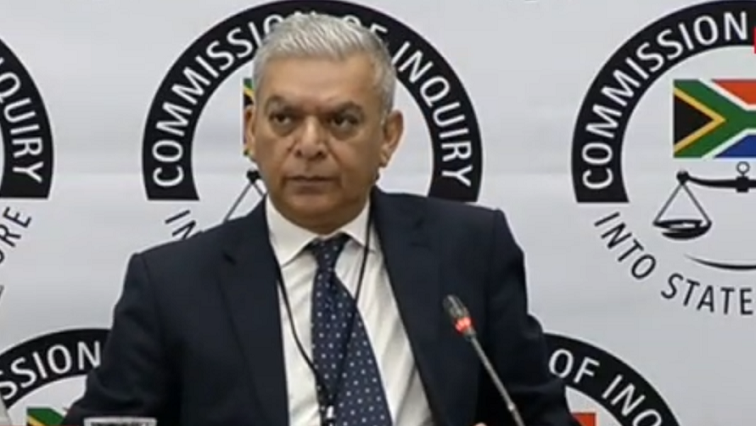 Former Denel CEO, Riaz Salooje says he first met with two of the Gupta brothers and then Public Enterprise Minister Malusi Gigaba in 2012 at the family’s Saxonwold residence for a meeting. Salooje, who is giving evidence at the State Capture inquiry in Johannesburg, says the meeting was organised by Gupta associate, Salim Essa. Saloojee has told the Zondo Commission that he felt pressured to attend meetings organised by Salim Essa. He says he was summoned to a second meeting where he met with Duduzane Zuma and Ace Magashule’s son. Saloojee says he felt uncomfortable with the meetings involving family of senior ANC leaders. Meanwhile, DA Shadow Minister of Home Affairs Haniff Hoosen, says strong action must be taken against Gigaba for approving the early naturalisation of the Gupta family without following due procedures. Parliament’s Portfolio Committee on Home Affairs has found that the early naturalisation of the Gupta family was fraudulent. It has concluded its investigation into the naturalisation of the influential family. According to the committee’s report, the Guptas did not comply with the requirements to renounce Indian citizenship. It recommends that criminal charges be taken against the Guptas and intermediary Ashu Chawla for falsifying naturalisation citizenship. The post Former Denel CEO says met Guptas, Gigaba in Saxonwold appeared first on SABC News – Breaking news, special reports, world, business, sport coverage of all South African current events. Africa's news leader..